Motez’ soundscape pushes the boundaries of your regular house producer, going way back before he was making wholesome, wall-to-wall club cuts and rocking festivals stages. His classical piano know how and clear influences of the 90’s and allows him to flex his skills and musical-taste across all of his releases, chalking up fiveHype Machine #1s and dropping official remixes for Disclosure, Sam Smith, Goldlink and Ellie Goulding. 2016 also saw Motez join Diplo & Friends, Beats 1 Radio and triple j Mix Up Exclusives to lay down his favorite selections. 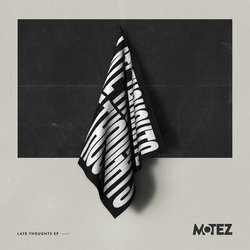 Following the success of 2016’s ‘The Vibe’ EP, which included the Tkay Maidza collaboration ‘Down Like This’, 2017 has seen Motez showcase his ever-evolving production abilities through his first release ‘Praise’, followed by a fresh offering in ‘The Future’. After having spent much of 2016 in the studio writing and recording, sonically ‘The Future’ is a new progression for Motez, featuring the uplifting vocals of Antony & Cleopatra interwoven between verses, while a South Australian children’s choir take the chorus to new heights. Three years in the making, ‘The Future’ is Motez’ most personal offering to date, receiving early support from BBC-R1, KCRW, Live105 and triple j.